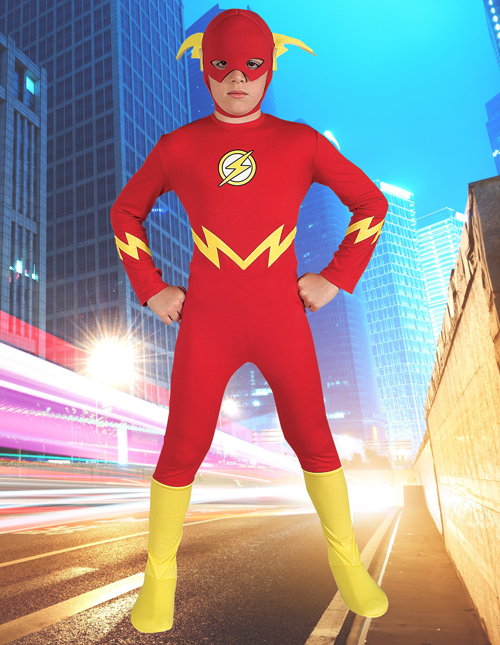 Get your Flash costumes in a hurry before they sell out. 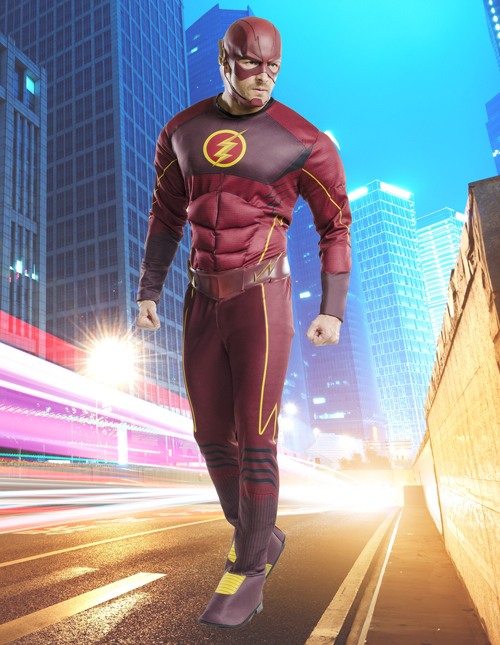 Become the speediest DC Comics superhero in the franchise by wearing The Flash costume from the hit movies, or become like the classic comic book Flash with one of our throwback styles. We have these costumes for men, teens, boys and even ladies. So, go on, get speedy! Have you ever sat and pondered what it would take to make you faster than other normal humans and also help you become friends with the Green Lantern? We thought so. 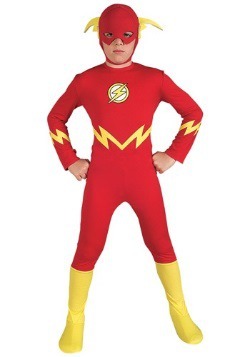 For you, we offer a Flash costume as a solution to your dilemma. The Flash is a DC Comics character that is known for his super-speed, superhuman reflexes, defying the laws of physics, his 'quantum tunneling' abilities, time travel abilities and his ability to heal more rapidly than average humans. He can also think and speak in highly accelerated rates. Also it should be said that The Flash and Superman occasionally get into it and decide to race each other. A lot of those races have ended in a tie due to outside influences. But ultimately, the Flash is much faster and can easily outpace the Man of Steel. 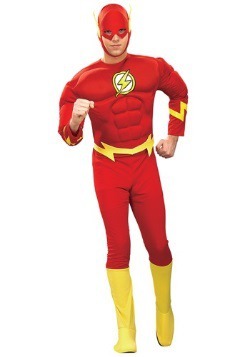 While the Flash Halloween costume itself may not endow you with actual super powers, tricking others into believing you have the powers is not too hard. Tell them you can run around the outside of the building you are in in less time than it takes them to blink their eyes. Slightly shift your stance and ask if they want to see it again. Make a few brief sounds that sound like gibberish, then say you just recited the Declaration of Independence 4 times. Trust us, when you pull these stunts while wearing the suit people will be impressed. These days, running is the most common way to keep in shape. It provides good cardiovascular conditioning, you get to catch a few sights when you run outside, and you can even do it with your friends. People even run for fun in something called a “Fun Run”. The Flash doesn’t run for fun most of the time. The Flash runs to save people. Out of context, that might sound kind of weird, and possibly even a bit boring. After all, Batman flies a jet, throws Batarangs and uses every form of cool gadget in the world to defeat supervillains. But, then again, The Flash doesn’t exactly run the same way that we do. He harnesses the Speed Force to reach speeds that can even give the speed of light a run for its money. He can defeat a whole army of bad guys before they can blink—let’s see Batman do that! Well, being that the Speed Force is such a formidable force to wield, it’s really no wonder that people have been dreaming about becoming The Flash ever since the Jay Garrick version of the character hit comic books back in 1940. It’s not just kids either! We know a few adults that spend their time daydreaming about being able to beat Superman in a foot race. 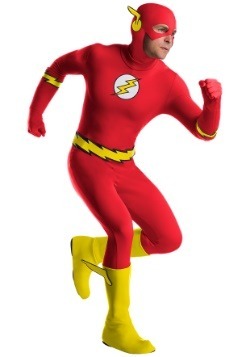 Of course, nothing facilitates becoming a superhero quite like one of our many Flash costumes. Sure, they might not help you tap into the mysterious Speed Force, but they will help you look fit enough to take on a hundred Captain Boomerangs. 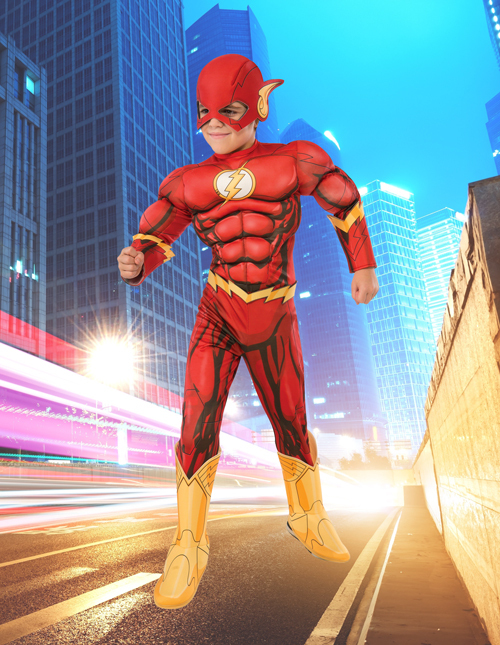 This guide should help you pick the right Flash costume for your needs, whether you plan on dressing up like the Scarlet Speedster yourself, or if you have a little one who wants to join the Justice League. Maybe you watched Justice League cartoons when you were younger. Maybe you collected every comic that had The Flash featured in it. Perhaps you fell in love with Ezra Miller’s rendition of the character in the DC movies. Or maybe, you just happen to think that you’d look like a total boss dressed up in a red suit, jogging through the streets of your home town! Whatever your reason for being drawn to The Flash, you’ve come to the right place. 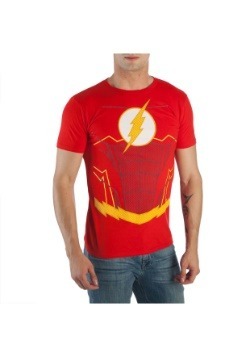 We carry styles ranging from the outfit from the Justice League movie, all the way to styles based on his iconic look from the pages of comics. 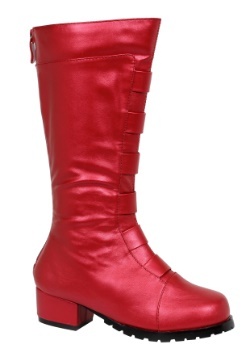 We even have a version that’s perfect for female fans of The Flash. 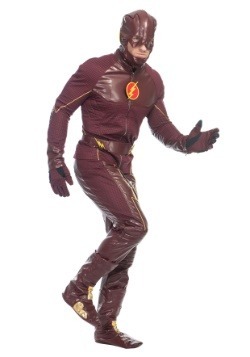 It’s time to check out some of our favorite versions of The Flash costumes for adults. Let’s begin with a classic look! 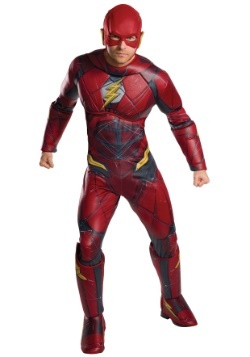 While this might not exactly be what the original Flash costume looks like, which was really more of a t-shirt with a funny metal hat that looks like something that Thor would wear, this adult Flash costume draws inspiration from the Barry Allen days of The Flash. It captures the bright reds and simple designs on the suit most commonly associated with the hero. It even has the lightning bolt accents around the waist and sleeves to give it a sleek and speedy style. Also, it even comes with some muscles designed into the chest, so you don’t need to be involved in some kind of lab accident to get superhero physique. How great was Ezra Miller in the Justice League? Forget Batman and Superman; give us more of him racing across the world, beating up some of Steppenwolf’s cronies. The movie also brought us our first look into the DC Cinematic Universe’s take on the Scarlet Speedster’s outfit and we have to say that we’re digging it. 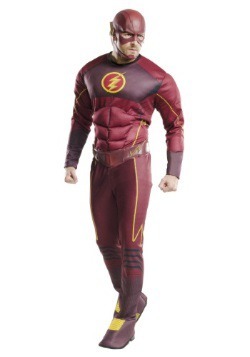 The Justice League Flash costume does a great job of blending the classic comic book style with a realistic look. 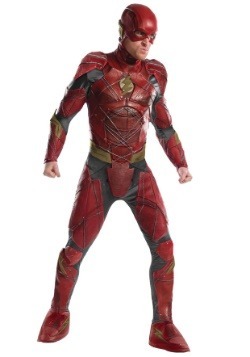 The jumpsuit has printed armor on the front for a style that actually looks like it could withstand the intense speeds reached by Barry Allen. Of course, we wouldn’t recommend actually running at the speed of light while wearing it. The Flash isn’t just making a splash on the pages of comic books and on the silver screen. The CW’s series has brought live action life to the comic book character in a way that’s a tiny bit campy and a lot of bit fun. The show does a successful job of bringing together the fun narrative of the comic books with a realistic look and nothing exemplifies that more than the lovingly crafted costume from the series. 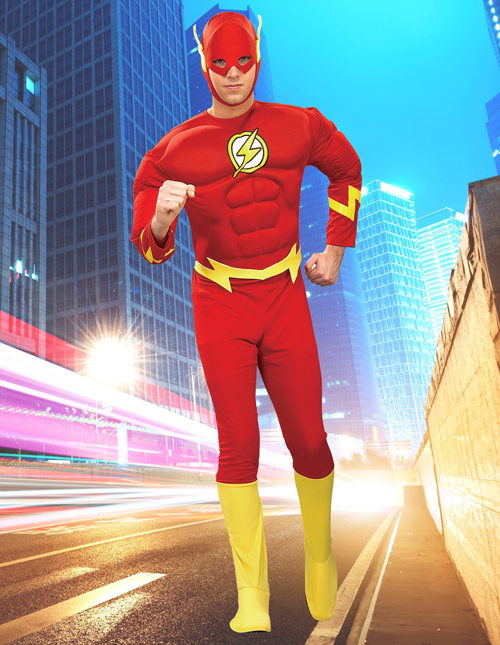 This deluxe Flash costume captures that signature look from the television series and lets you become Barry Allen! You might need to figure out how to harness the power of the Speed Force, but at least you’ll have the look down pat. Women have held the mantle of The Flash during the run of the comics. Although Barry Allen and Wally West are the two most well-known speedsters, characters like Jesse Chambers and Sela Allen have both held the title of The Flash at various points in DC stories, and the next wearer of The Flash suit could be you! 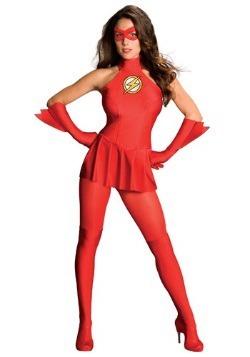 The Flash costume for women gives you the classic costume, but combines it with a dress style. 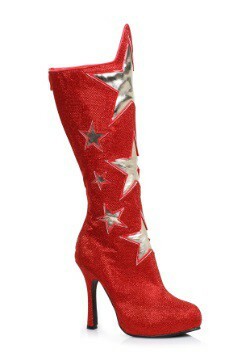 You can certainly give those guy Flashes a run for their money when you show up wearing this chic yet heroic outfit. Kids are an unending wellspring of energy. Sometimes, you can’t get them to slow down, no matter how much you try! Does that sound a little bit like a superhero we’ve been talking about here? 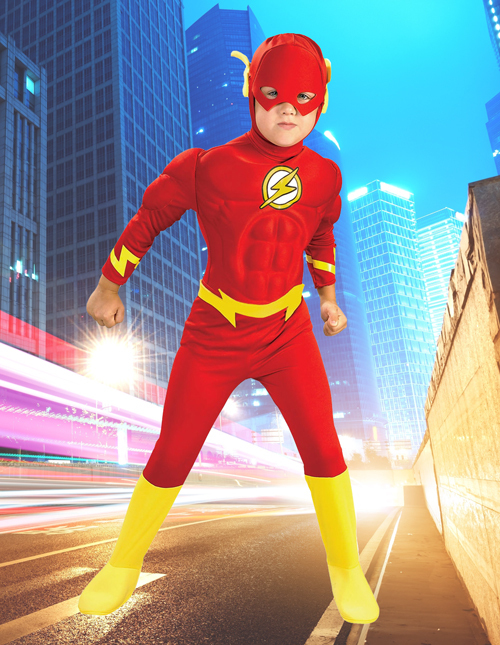 Yes, there are plenty of kids running around the playground that almost look like they’re harnessing the power of the Speed Force, so dressing them up in one of our Flash Costumes for kids seems like a fairly natural progression. So, which kind of outfit does your little one require? Is he more of an Ezra Miller Flash, or does he look more like a Justice League The Animated Series version of the superhero? Well, just take a look at our line-up of costumes for kids. We definitely have a look that will be great for your little one! If your child wants to get buff and tough, then you make him start doing a strict daily regimen of push-ups for strength training and feed him some protein bars… or you could choose a costume that has some muscle padding built right into it. 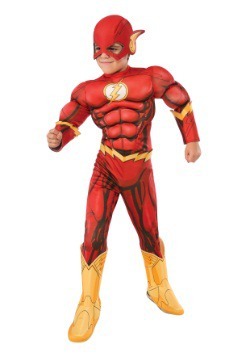 This Kid Flash costume transforms your child into one muscular looking little dude. The costume has sculpted muscles on the front of the chest that help him look like he’s a regular member of the local gym. Perhaps you want the simplest look possible. After all, some of The Flash’s comic book iterations didn’t have a lot of fancy details. It was just a simple red jumpsuit with some bright yellow lightning bolts decorating the chest and sleeves! 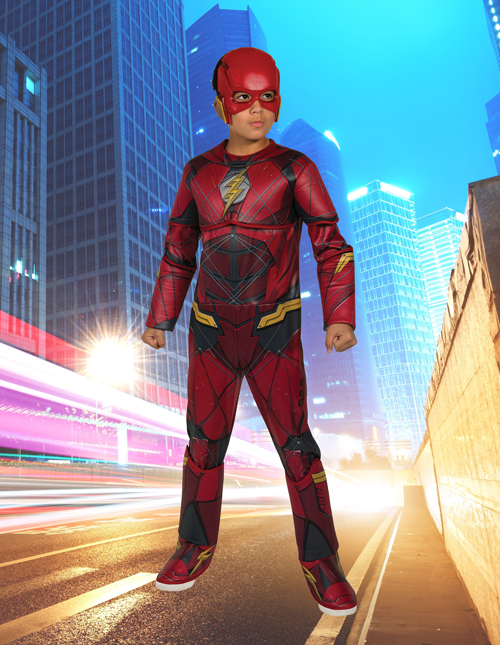 This boy’s The Flash costume is probably closer to what The Flash wears in his comic books and it also makes for a great Kid Flash, Wally West style look. Once he has it on, Captain Cold had better watch out! Even if your infant is still too young to join the Justice League all by himself, you can still start preparing him now! 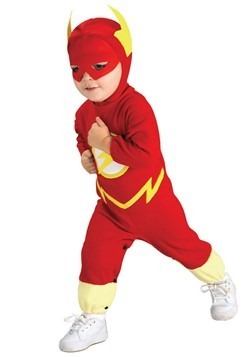 This baby Flash Halloween costume comes in a size that helps your adorable little hero hang with the big boys. You can even check out our other adult-sized superhero costumes to assemble your own Justice League this year! How cute would it be to go as a family of heroes, with Superman, Wonder Woman and your little speedster? Nothing beats a classic! 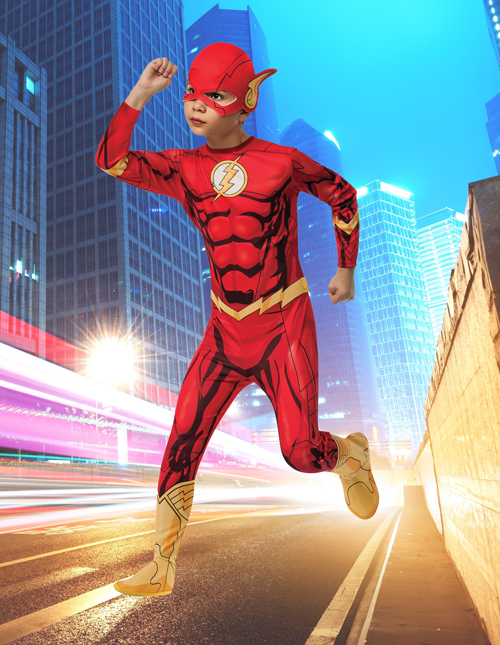 When your child suits up in this kid’s classic Flash costume, you’ll swear he stepped straight out of the page of the latest Flash book. 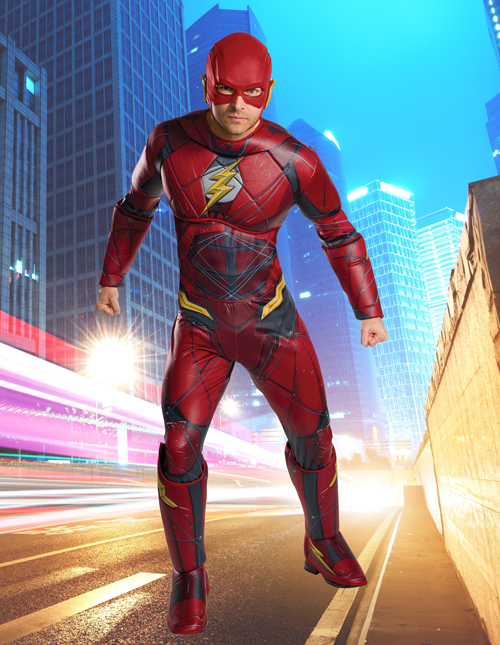 The suit is adorned with plenty of lightning bolts and shaded lines that look like ink in the official artwork for the superhero. 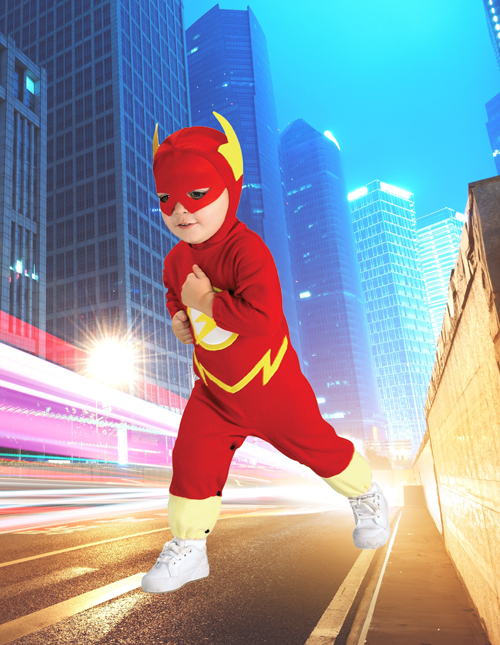 When your little one suits up in this costume, he’ll look like a real hero from the pages of his favorite comic book. 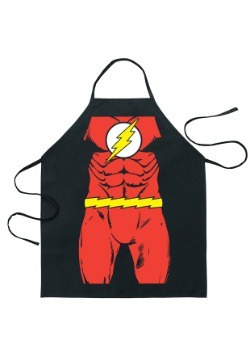 Nothing can beat the classic look of The Flash from the comics… except the classic look with tons of extra muscles! 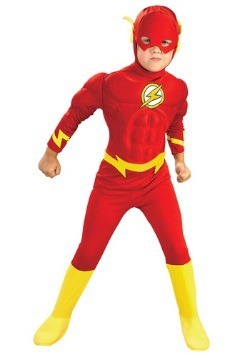 That’s exactly what your child gets with this deluxe child Flash costume. 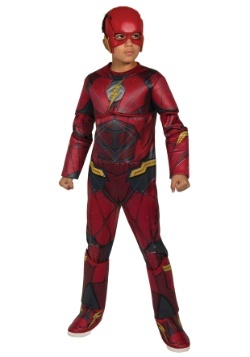 It combines the red suit, complete with some comic-style shading, with a buff muscle chest to give your child the superhero physique that he’s always wanted. You just need to find a few supervillains for your newly christened hero to fight against. Not every kid can just join the Justice League! It’s one thing to put on a costume and sprint through the block, protecting the good citizens of your neighborhood from pretend bad guys. It’s another thing to actually form a super group of heroes to protect the neighborhood from pretend baddies! 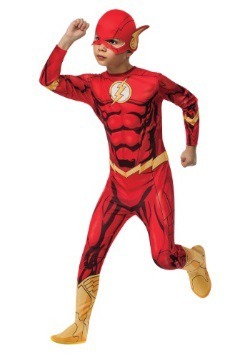 If that’s what your child wants to do, then he might just be ready for this Justice League Flash costume for kids. It’s designed to look like the outfit worn by Ezra Miller in the DC Cinematic Universe. Going full superhero just isn’t something that everyone is comfortable with everyone! That’s when you need an Alternate Flash costume. No, we’re not talking about Zoom, or Reverse Flash. We’re not even talking about an Impulse costume. We just mean that maybe you want something that’s not quite a full costume, but still helps you maintain your status as a superhero. 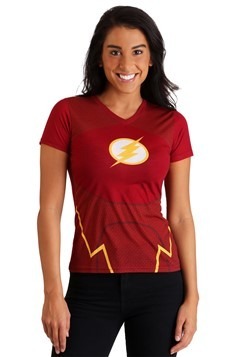 If you’re the type of Flash fan that likes to keep it casual, then maybe you’d rather wear something that’s not spandex. Perhaps you’d like something that lets you feel like drinking a cup of hot cocoa next to the fire. 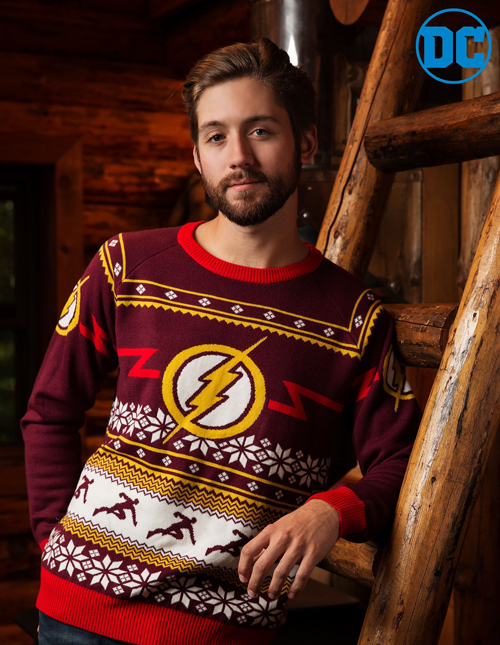 Well, then you might want to try one of our DC-themed ugly Christmas sweaters, especially this Flash holiday sweater, which takes its inspiration from the DC superhero’s iconic costume. You can feel festive and heroic at the same time when you wear it. You can even pair up with a few of your friends wearing our other DC sweaters to form your own Justice League themed holiday look. Do you think that The Flash even gets cramps? Do you think that defeating Captain Boomerang over and over takes its toll on him? Do you think he needs to soak in a tub after a long stretch of sprinting across the planet? We bet he does! Just because he’s a metahuman doesn’t mean that he’s completely immune to the normal pitfalls of running. He needs relaxation too! 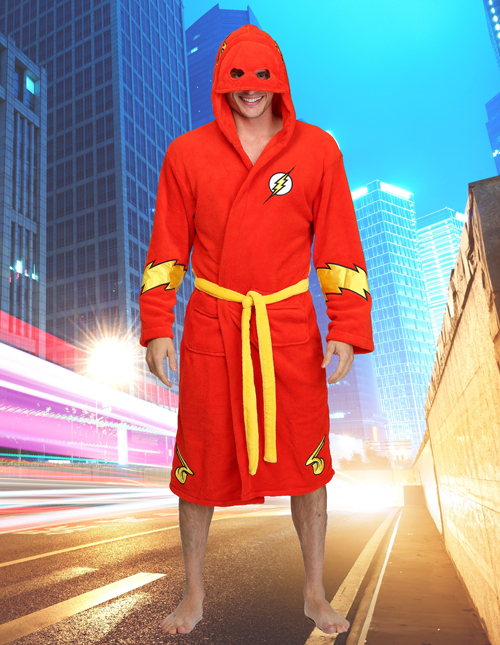 Well, if you’re in need of relaxation, but you still want to look fit to fight against Captain Cold, then you may want to think about choosing something like this Flash bathrobe. The extra-soft garment is designed to keep you comfortable in superhero style and it’s just one of our many themed bathrobes! Whether you want to put the finishing touch on your costume, or you want to add a little oomph to your everyday apparel, adding one of our Flash accessories to your collection could be just the thing that you need. 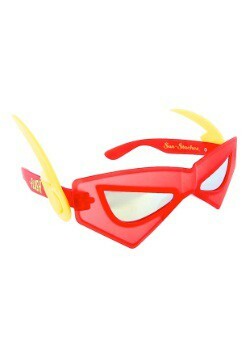 We carry a variety of accessories based on The Flash, which can be worn anytime. That means no red jumpsuit, no lightning bolt belt and no mask (unless you want to, of course). 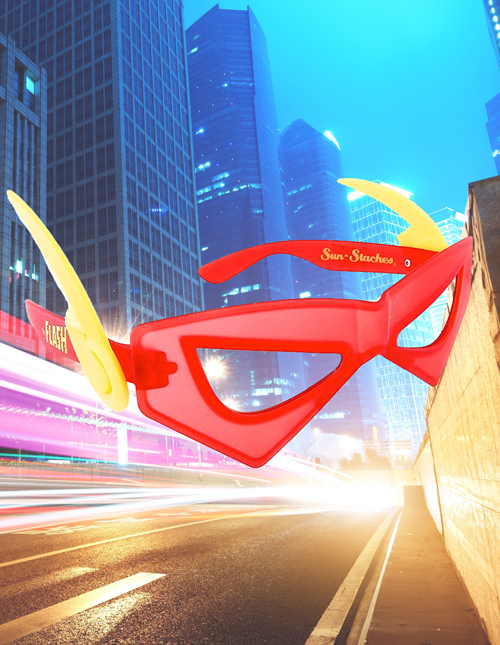 Just check out a few of our favorite superhero accessories based on The Flash below. Sometimes, you just don’t want to go full-on Flash. 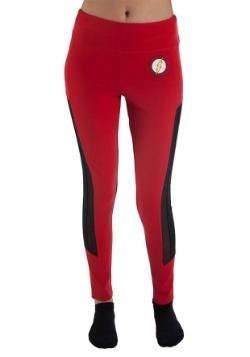 After all, a red spandex suit might be a little too exuberant for everyday wear. Maybe you just want a little extra Flash in your style while still while still wearing your casual wear or costume apparel. Well, that’s no problem! When you break The Flash Glasses out, you can wear them with jeans and a t-shirt. They may even make you feel like you’re just a little bit faster when you wear them out for a quick jog around the neighborhood. 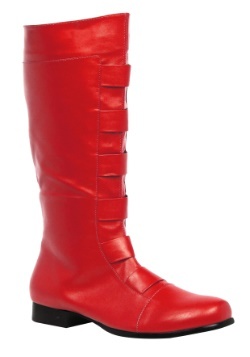 Hosting a party while maintaining a strict superhero wardrobe can be rather difficult. After all, you’ll be expected to entertain your friends, save the day from supervillains, AND cook up all the snacks. Well, that’s where this accessory comes in quite handy! 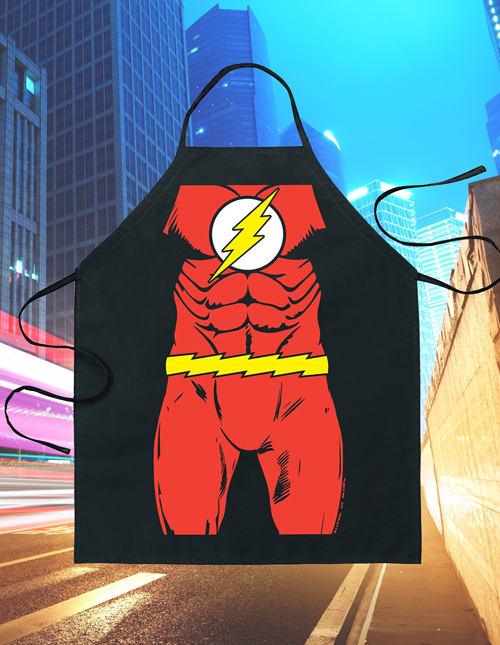 The Flash apron has a simple design, like any apron, but it has the DC superhero’s suit printed on the front. That means even if you wear a pair of khakis and a t-shirt on under it, you’ll still look ready for a round of crime fighting action.